As 2018 draws to a close, many Australians would be aware that Christmas is only weeks away. While the perception is that it’s a time for gathering family and friends together, a time for festivity, food and fun, many people find it the most stressful and anxious time of the year. In fact, it’s not something they look forward to much. Getting ready for Christmas has been compared to moving house or losing your job in terms of how stressful it can be. (Sydney Morning Herald 2017). Yet, we are often expected to simply get on with it without revealing how we really feel. The factors behind those stresses and anxieties are many and varied. For some, it is about Christmas shopping, with surveys finding more than 60 per cent of respondents saying they found it a difficult and unpleasant experience (Relationships Australia 2016). Equally, allow for some mishaps before and during the lead-up to Christmas and don’t put pressure on yourself to offer everyone “the perfect day”. Other expectations which can also cause stress come via social media sites – where the display of friends’ or acquaintances’ “happy families” can feature on a regular basis (betterhealthvicgov.au). If your marriage or de facto relationship has recently ended, these posts may cause distress. And even though we may love our families, some of us have difficult relationships within them – such as a falling out with a parent, child, in-laws or sibling – this time of year can bring those difficult relationships to the fore while sitting around the Christmas table for an extended period. As well, there can be financial pressures. It is often a time of year when people max out their credit cards, thinking that they will deal with the debt later on when their finances improve. All too often, that moment never comes and the interest payments keep mounting, adding to your marital or relationship stress. To reduce those concerns, discuss this and decide on a budget (there are many low-cost gifts out there) and stick to it – no matter what. Similarly, if you are recently separated or divorced, Christmas can be very challenging, including for the children. They may be experiencing their first December 25 after the family has split up and they may need time and understanding about going from one set of familiar circumstances to new ones. Another stress can be loneliness. 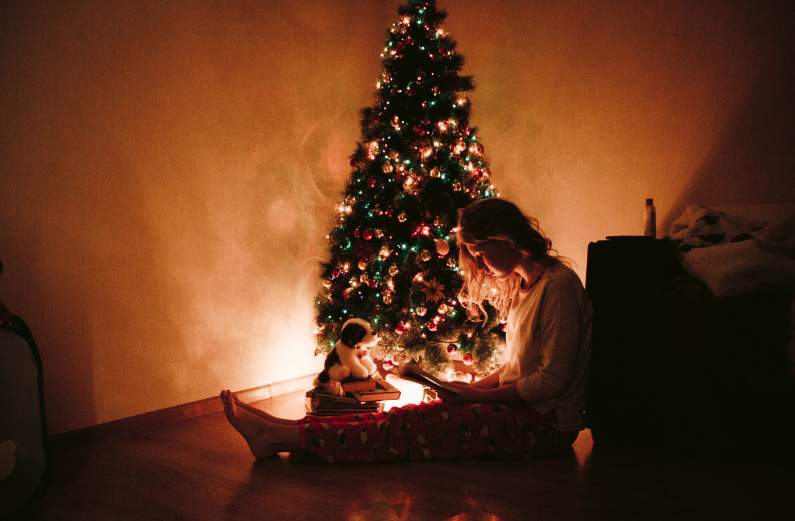 Again, the expectation is that everyone will be with family or close friends at Christmas, but a recent survey found that many Australians experience loneliness and emotional isolation on a regular basis (Relationships Australia 2018). It can be stressful to try and think about how to handle the festive season on your own. While “orphan” Christmas social events are commonplace in many capital cities, it can still be a difficult time. One way to tackle this is to help those even more unfortunate than yourself and put your name down to volunteer at a charity event such as a Christmas lunch or soup kitchen – or plan the day well beforehand with a set list of activities you really enjoy – without necessarily spending a fortune – such as visiting a favourite spot, going to the movies, going on a day trip on public transport, or even starting a gratitude journal.